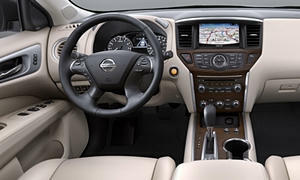 With the supercharged 252hp 2.5L I4 Hybrid engine, CVT transmission, and four-wheel drive, the 2014 Nissan Pathfinder has been averaging 20.6 MPG (miles per gallon). The 2014 Nissan Pathfinders in this analysis were driven mostly on the highway at an average speed of 70 miles per hour (about 55 percent of the miles driven). The rest of the miles were in the city (15 percent), in heavy traffic (5 percent), and in the suburbs (0 percent). 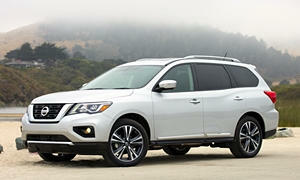 In addition, the average 2014 Nissan Pathfinder in this analysis was driven on hilly terrain with a light foot and the AC on only some of the time.